Debbie Williams is a specialist when it comes to eating disorders and she makes no secret of the fact that she suffered from bulimia herself when she was in her twenties. 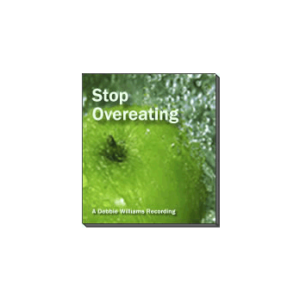 This set of recordings, then comes from someone who knows first-hand how difficult life can be when every day is a struggle with food. Debbie sees people on a one-to-one basis and has had a lot of success in dealing with those suffering from anorexia nervosa. 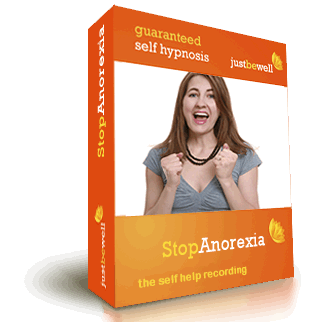 These recordings, then, are based both upon personal experience (she knows anorexia is not bulimia, but there are similarities) and clinical success and Debbie is confident that they will help you. This is an introduction to hypnosis and NLP and how it relates to you and your eating disorder. Listen to track one a few times because it provides some useful groundwork that helps to make track two more effective. This is a powerful NLP technique that works directly to re-pattern anorexic style thinking. The more often that you listen to and do this exercise, the faster you will begin to overcome anorexia and begin to learn to eat the way a lean, happy and healthy person eats. This is the self hypnosis track which works in a gently relaxing way to establish better and healthier patterns of thinking, feeling and behaviour at a more unconscious level. Debbie does understand all about the fear that underpins eating disorders such as anorexia nervosa. Yes you want to stop being anorexic but the fear that drives the problem keeps you inside of it. 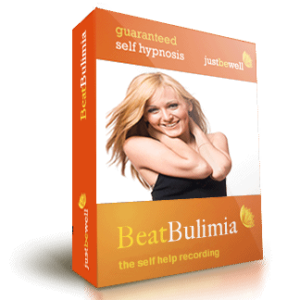 So these recordings are aimed to give you more control over your thoughts and your feelings and therefore your behaviour. They are gentle and powerful and are guaranteed to help you. We do provide a money back guarantee. If you have been fighting anorexia nervosa than you will know how exhausting it is. You also may well have been in intensive therapy or perhaps in hospital. The combination of tiredness and repeatedly not finding something that helps is very distressing, obviously, and there is a danger that you may listen to these recordings a few times, notice that nothing seems to have changes, and say to yourself 'I knew that nothing could help me get rid of my anorexia'. listen to these recordings over and over again. Listen every day, if you can, and certainly every night as you go to sleep and be patient. If you were unfit and stated going to the gym you wouldn't expect to be fit after one visit.However, the mind can change quickly and sometimes magical and wonderful things are possible very quickly.